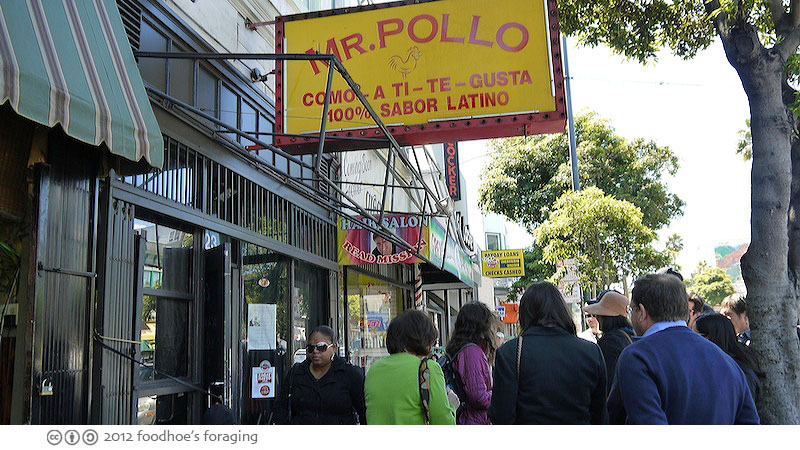 It’s been about a year and a half since we first visited this tiny gem in the mission (you can read about that visit here). 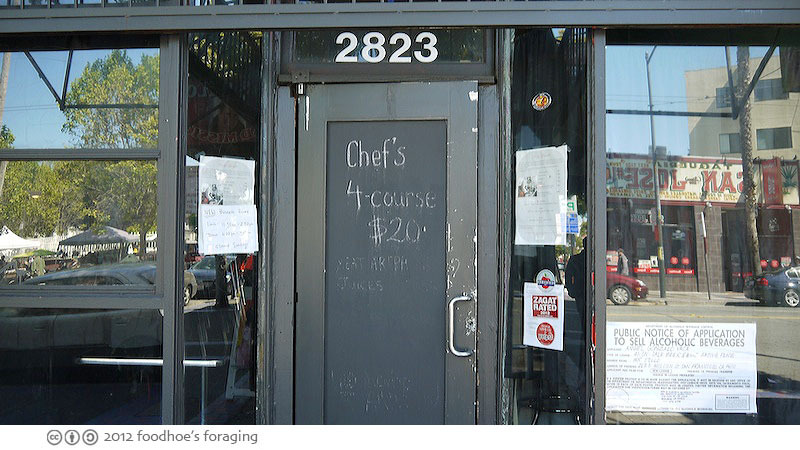 The original sign in front blends in with the rest of the block, making it easy to miss, which we like because: 1) it really is tiny (seats 15 maximum inside plus a couple of tables squished onto the sidewalk out front), 2) $20 for a 4 course tasting menu prepared by a chef who cooked for 12 years in high-end restaurants including Coi, A16, and Quince, 3) it was introduced to the world by local chef Chris Cosentino on the Food Network’s show the Best Thing I Ever Ate. Mr. K and I met my friend DebbieG for lunch, arriving 30 minutes before they opened as we were determined to be in the first seating at the tiny restaurant. We were dismayed to find a large group gathered in front of the restaurant. It turned out to be a culinary tour group which swarmed the restaurant, but then left. Aside from the tour group, we were the only ones there, it seems that lunch would be the way to go here as people in the Mission are not early risers. Here’s a Lytro photo which captures chef Shaun Naputi, formerly from Incanto, in the background, or you can click on the glasses on our table. We ordered the tasting menu, and he asked us if we wanted some cheese Arepas to go along with our meal. We eagerly agreed. 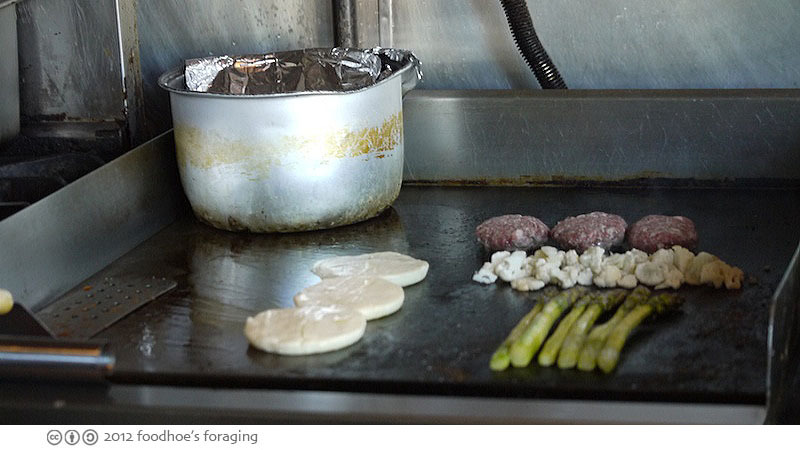 He tossed them onto the griddle along with lamb burgers, cauliflower and asparagus. The tasting menu changes daily and you are under the chef’s control with his four small courses made from the freshest ingredients possible. 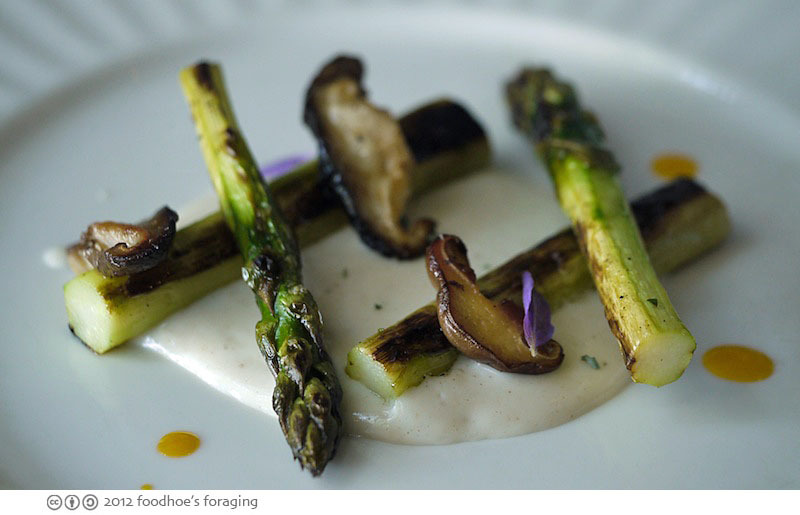 We began with Spring Asparagus with mushrooms served over a delectably silky pureed vegetable with drops of Annato oil. 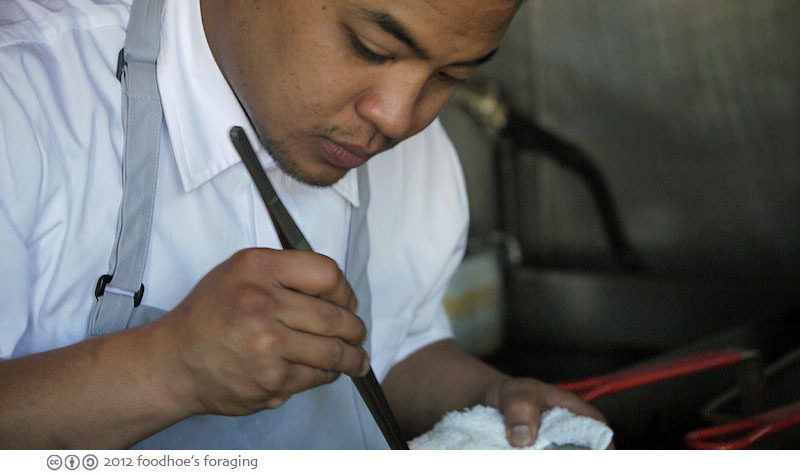 Chef Shaun artistically prepares the dishes. He was a one man show, which was awesome to watch, but I must admit that I wasn’t able to get the provenance of each dish as it wasn’t printed on a menu and I couldn’t bother him for all of the details as more patrons came in and he was quite busy waiting tables, cooking and tending the shop. We briefly saw Chef/Owner Manny Torres Giminez come in, but he took off after a few minutes. The final course was tender slow cooked Pork Shoulder in sauce served over fluffy white rice with buttery chunks of avocado. I quite liked it, although Debbie said it was her least favorite dish of the meal. 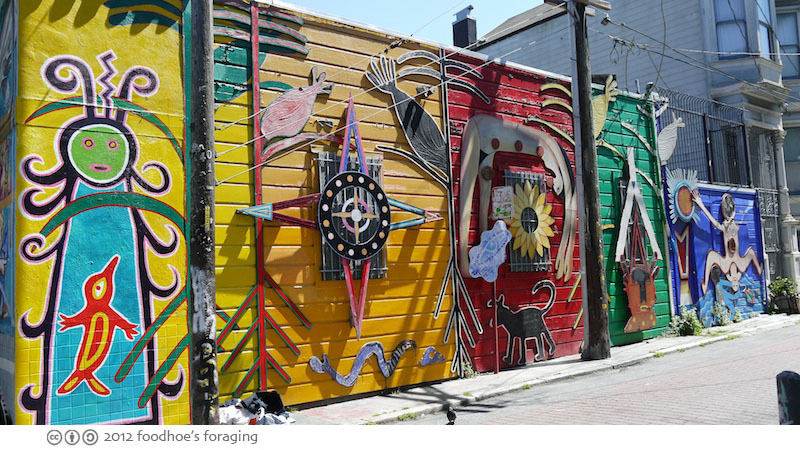 We opted to skip dessert and to continue onwards for ice cream at Humphry Slocombe down the street and walked past many colorful murals. I got a scoop of Black Sesame Ice Cream on a sugar cone which was a lovely combination of sweet and salty, toasted nutty, rich and creamy flavors and textures. The perfect thing to finish off an excellent meal. The food looks really good! 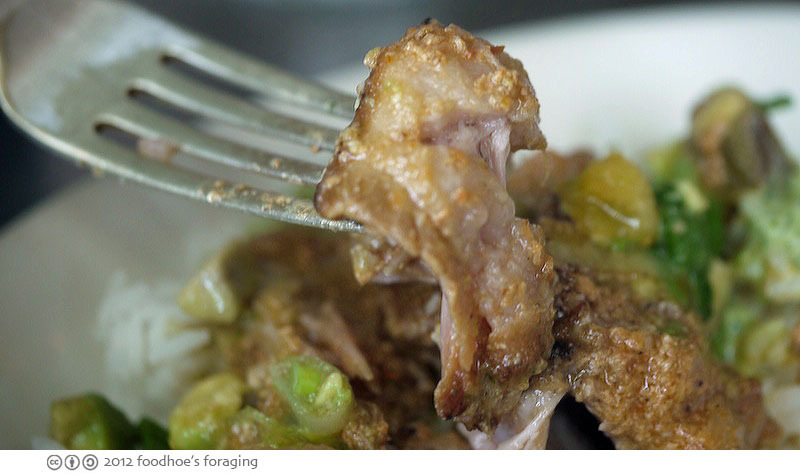 That pork looks delicious and tender. Wow! What an amazing feast for $20! 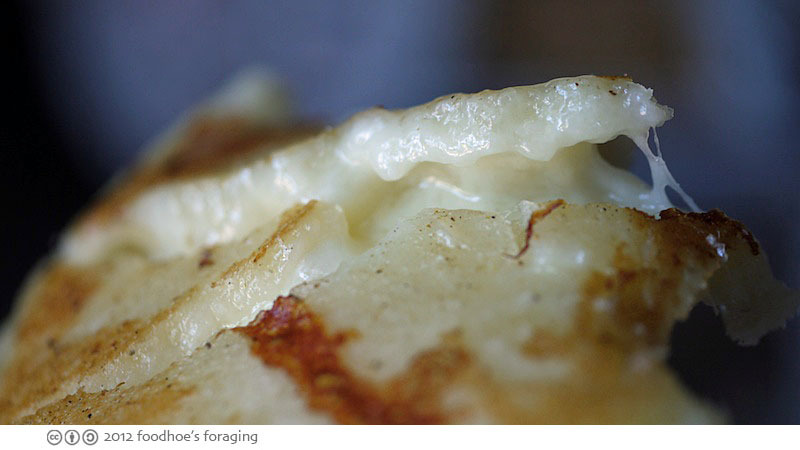 You had me at Cheese Arepas! LOL. Can’t wait to check this place out! Black Sesame Ice Cream huh? Not sure about that. Have you heard of the place that sells Proscuitto Ice Cream? It was featured in The Best Thing I Ever Ate, Humphry Slocombe. You might like that sweet and salty combo too! I have never seen that on the menu, it sounds really interesting and I want to try it for sure! yummy arepas! ice cream is the perfect thing to top off a fine meal like that. I like your tip about coming here for lunch. I’ve tried 3 times at dinner with no luck. 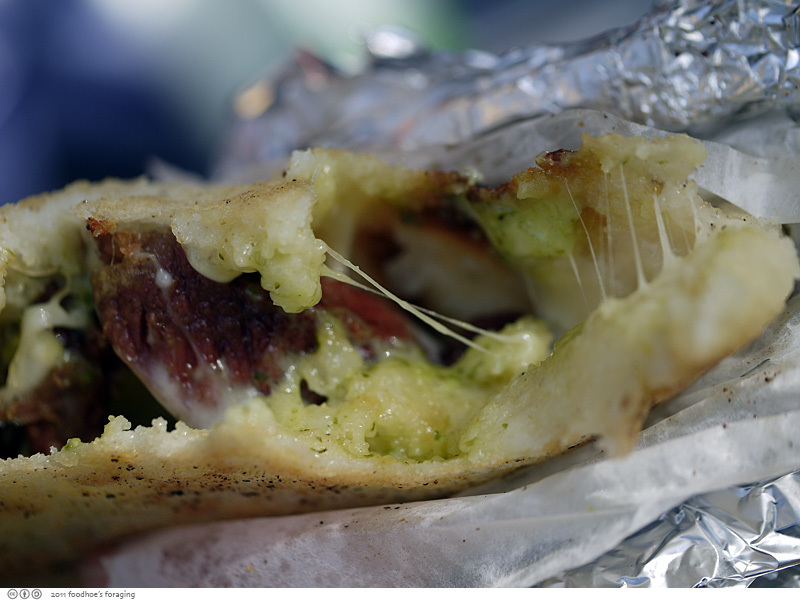 The arepas looks so cheesy deliciousness. manny has never had a website!